On the occasion of Frieze Academy Art & Architecture Conference 2017, the Royal Academy’s Artistic Director Tim Marlow engaged in conversation with Sir David Chipperfield, the architect behind the RA’s 2018 transformative development. Far more than an extension, the project marks the Academy’s 250th anniversary with its eyes on the future. In May 2018, the RA opens its doors, showcasing an expanded exhibition programme alongside free displays of art and architecture across its new cultural campus. 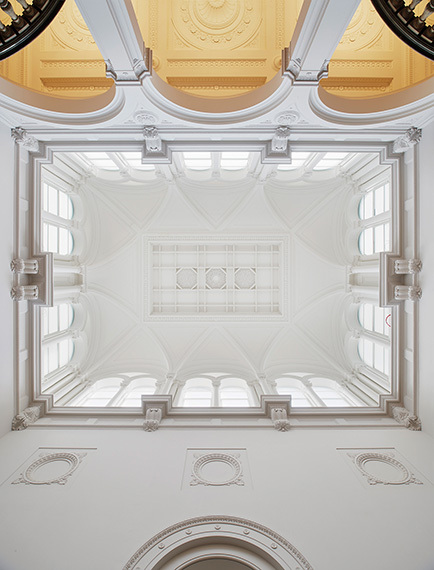 Founded in 1768, the Piccadilly institution has reconfigured its Burlington Gardens side, linking the Grade II-listed Burlington House with 6 Burlington Gardens for the first time. 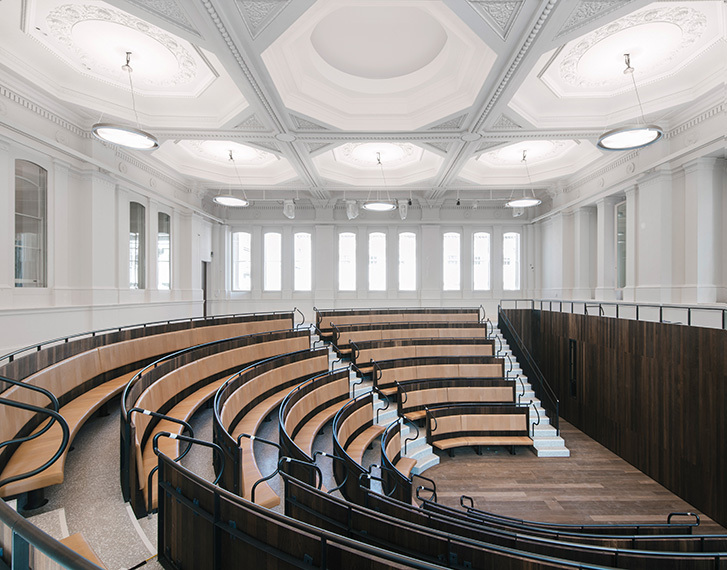 The double-height Benjamin West Lecture Theatre, with seating for more than 250 people, has been remodelled, alongside new galleries – which launch with the poetic work of Tacita Dean. 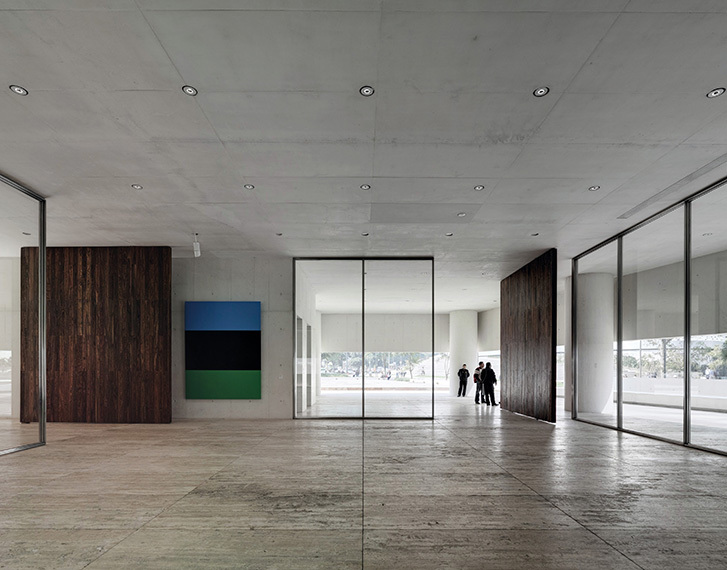 Founding his practice in 1985, with current offices in London, Berlin, Milan and Shanghai, the project has been realised by fellow Royal Academician, the multi award-winning Sir David Chipperfield RA. The New RA, as it’s dubbed, sees a series of subtle interventions cumulate into a distinctly different experience. Not least because the Royal Academy now boasts two entrances; a front door facing Piccadilly to the south and a new front door to Burlington Gardens, Cork Street and Bond Street, further anchoring it to the area. The RA has never been so accessible. And that’s good for all. Relating to the project at Frieze Academy Art & Architecture Conference 2017, the following is an edited conversation between RA Artistic Director Tim Marlow and the architect. And it’s next door. David, there are two buildings being joined together; one of the things that excites me about the plan, or the proposal, is that the Academy becomes much more emphatically a collection of buildings. But you’re not seeing it necessarily as a collection, you’re trying to link and create a campus. What was the starting point for you in the scheme that you’ve come up with? 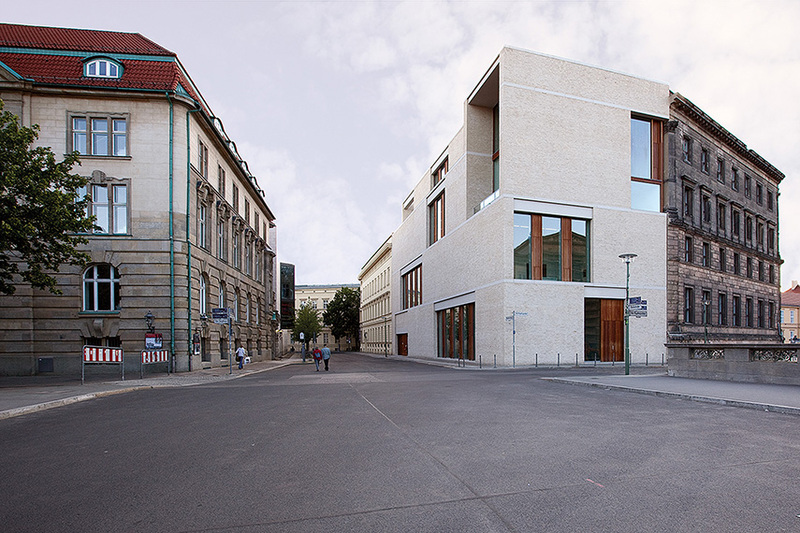 David Chipperfield: The Royal Academy has owned the building in Burlington Gardens for 20 years, ever since they bought the old Museum of Mankind. As the name suggests, Burlington Gardens was built in the gardens of Burlington House. But while they were back to back, they had no relationship whatsoever – although, very strangely, the two front doors are nearly within 1 inches of being on axis with each other. Following the purchase of 6 Burlington Gardens, the Royal Academy has had, over the last 20 years, several competitions and attempts to combine them structurally and physically, and in a way, institutionally. However, I’m telling you everything you know! The question was, what should they do with the space and how should they be linked? The difficulty is, due to this back-to-back relationship, the rear of Burlington House is linked by the Royal Academy Schools and their studios. Therefore, the connection between these two buildings, which are nearly kissing each other, is much more complicated than anyone could imagine. There have been a lot of attempts over the past 20 years to think about how you go over, around, etc. Initially, I think there were plans for a grand project – an enormously ambitious project. This was followed by a more modest proposal; largely a reaction to the failure of the grand one. And then, like the three bears, we came in with one that was just warm enough. We said let’s not impose an a priori structure but instead think about how these two buildings might be physically connected and discuss how this new space might be useful to the Academy. Our project was much more surgical. I always say it was more to do with negotiating with the institution and its different components. The Royal Academy is not a conventional museum, you could call it the Naples of museums – in the sense that there is leadership of course; then there are 60 old Royal Academicians who never agree with anything, then you have the Schools… Whereas most museums struggle to convince you that there’s more life than just the exhibits, the Royal Academy is blessed with life, and this is its great strength. When you want to do something, not only are you knocking against brick walls, you’re knocking against territories and ownerships. It’s a sort of post-Yugoslavian negotiation of territorial boundaries and connections. I think the success of our project has been as much to do with those discussions – the software – as it is to do with the hardware. TM: I’m just trying to work out who’s the Camorra in all that, but I have a feeling it’s a small coterie of individuals who shall be nameless – but just to let people know, there is a purpose-built lecture room for the first time in a long time at the Academy; there’s a learning studio, there’s a collections gallery, there’s a project space and there are three beautifully top-lit galleries. And then there’s the link, that links the buildings, that goes through the Schools, that will also provide an exhibition space for the Schools to programme. But also along the link, we will be able to use our collection, which is often hidden, as a way of exploring various narratives about the history of the Academy. So all of those things come together. Were you instrumental in determining the usage or leading the discussions? Because I wasn’t there at the time – I mean I’ve had input since – but in what the building should contain, or was that a given when you won the competition? Did you determine what the Academy needed – for example a lecture room, galleries, a collection space, and so on. DC: It certainly needed a lecture room, and that was part of the programme. But no, I think there was an initial anxiety about what the expansion is for. 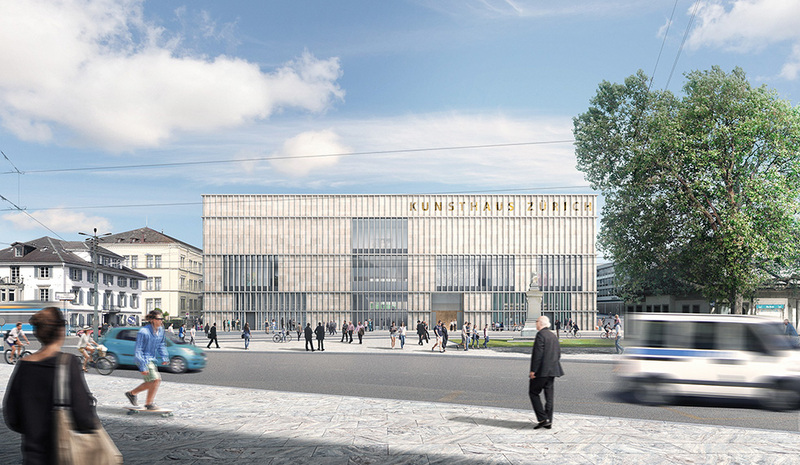 This theme happens to some degree in every museum expansion – there is always a momentum that we need to expand. Every institution needs to expand. Every museum has a larger collection than they can ever put up on the walls. The curators are always desperate for more space. But of course, there are other forces at work, in terms of budgets, and how many exhibitions you can put on at any one time etc. Expansions tend to come with a complex cocktail of requirements. From the curators’ point of view, it’s about providing more space. From the rest of the institution’s point of view, there are a whole host of other agendas: improving art handling, delivery, technical facilities, events opportunities and retail. From the outside, we all think that museums and such institutions are coherent and singular organisations, but if you lift up the rock, you find that everybody has their own priorities. 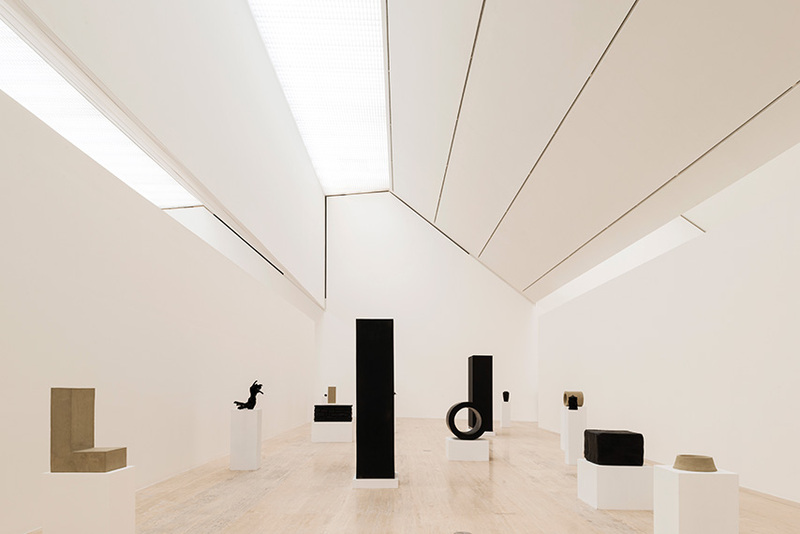 When you walk into a gallery, the curator sees a wonderful space with daylight and high ceilings; however maintenance sees this as a headache, because they don’t know how they’re going to change the lights or how they’re going to paint the walls. The events people see the museum as – quite rightly – territory which they can exploit for events, because that’s what they have been asked to do. Everybody has their own agenda: the question is, how do you get all of these voices, which tend to contradict each other, to somehow come together? I think that always gets flushed out in expansions. You find that all museum expansions are sort of like icebergs; there’s the bit you see at the top, the new galleries, but this usually comes with a huge series of underlying concerns. What’s the point of adding more space if you haven’t sorted out some of the other technical, logistical or institutional issues? TM: You’ve said on a number of occasions that architecture is as much about problem solving as it is about making a statement – although I presume one can make a statement through problem solving. But in an ideal world – I know you’ll evade the question beautifully, but I’m going to have a go – say in five years’ time you could work, restore and add something to a great museum or museological institution, or you could start from scratch and actually design a totally new, purpose-built building for an institution or a collection, does one appeal to you more than the other? Or are you a pragmatist for whom both are equally appealing? Because many architects, whether they admit it or not, the fantasy is you start from scratch – it’s your project to begin and bring to life and build and construct as you have conceived. DC: Well, if I were a politician, I would say that this is a theoretical question which doesn’t really need to be answered, because as architects, that is not our predicament. We’re not artists. We don’t sit up at night thinking about what we’re going to do next. We wait by the phone to see what someone’s going to ask us to do. We are hopeless and helpless. And it’s our ability to make sense out of that – this is our position. 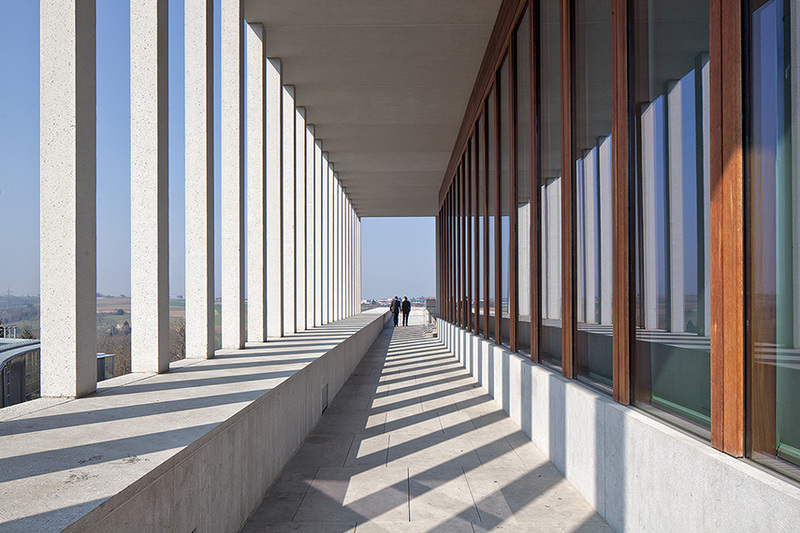 Having said that, probably more than many architects, I do enjoy working with existing buildings. But I think in architecture you don’t start with a blank piece of paper. The blank piece of paper, the new building, also doesn’t start with nothing. And in fact, once you have the blank piece of paper, you desperately look to curtail your freedoms; you’re looking for reasons to bring the frame in. You don’t want to wander around in white opportunity, you’re trying to bring relevance. We are not like artists, we give them licence to, in a way, think on our behalf. We expect them to do things that we don’t expect and we give them that freedom. They serve to comment, provoke, antagonise, illuminate. They are morally and intellectually responsible, but also irresponsible. Architects are the opposite. We are only commissioned through our responsibility. We’re given responsible tasks and within those responsible tasks we must find, if you like, irresponsible agendas. Or we must expand that responsibility from the one that the client directly asks of you, to include other interested parties – not just the people who are paying for the project, but the people who are going to live in the project, the people who are going to walk past it every day. Whereas an artist can deliver anything, we have a societal relationship – and we can’t exist without it. In a way it can be thrown in front of us, and it’s up to us to react. Anything we do is a delivery in collusion, so we have to continuously establish a relationship with societal and physical context. That is our task. When you say you have a blank piece of paper, you don’t actually have a blank piece of paper. When we attempt for it to be blank, I think it’s a problem. Because it’s only when architecture is embedded in meaningful issues, that it has societal value.